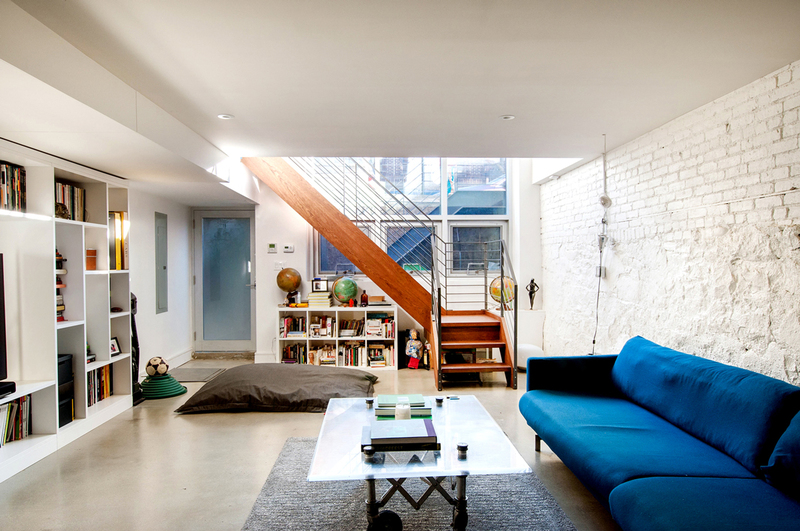 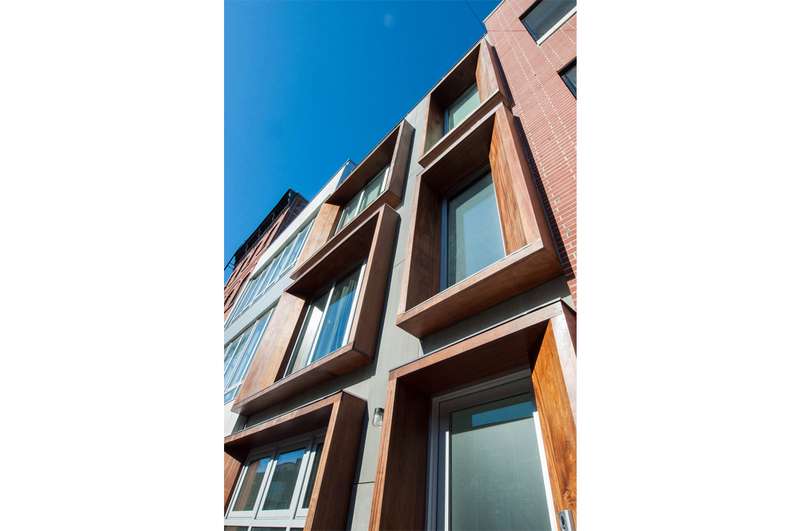 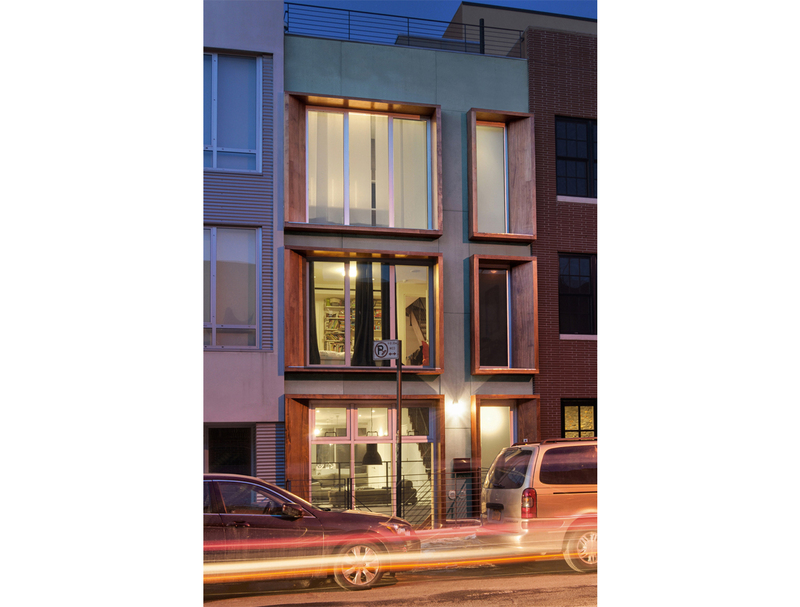 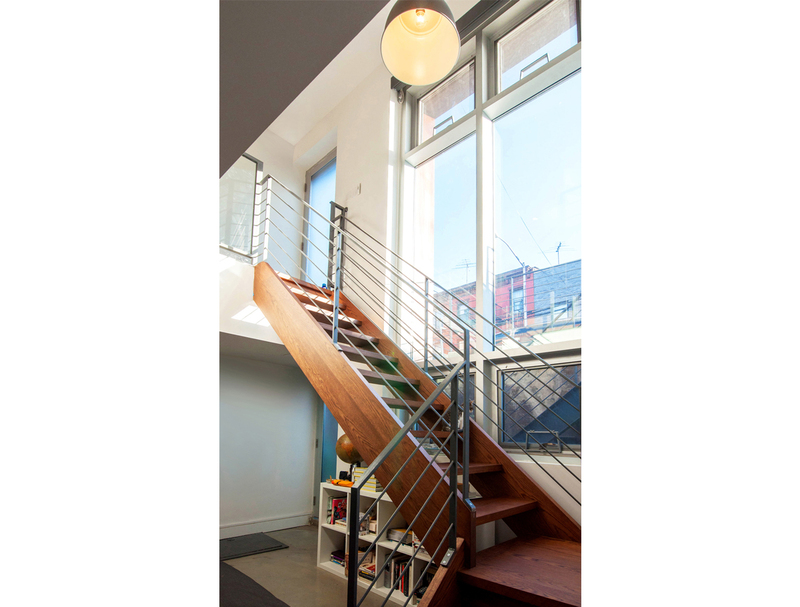 Gowanus Townhouse is a newly rebuilt townhouse in the Gowanus neighborhood of Brooklyn. 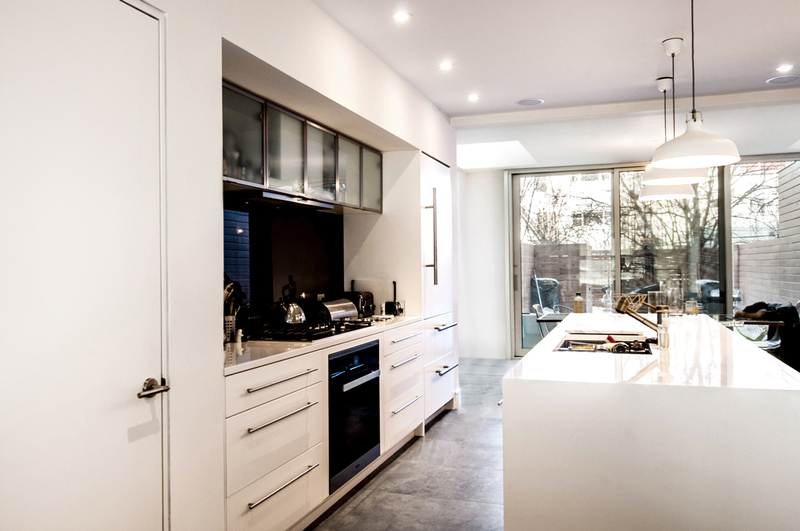 The entire building has been rebuilt from the inside out, with refurbished floor and wall framing, new front and rear facades, a dining room extension at the rear and a new double height master bedroom on the top floor. 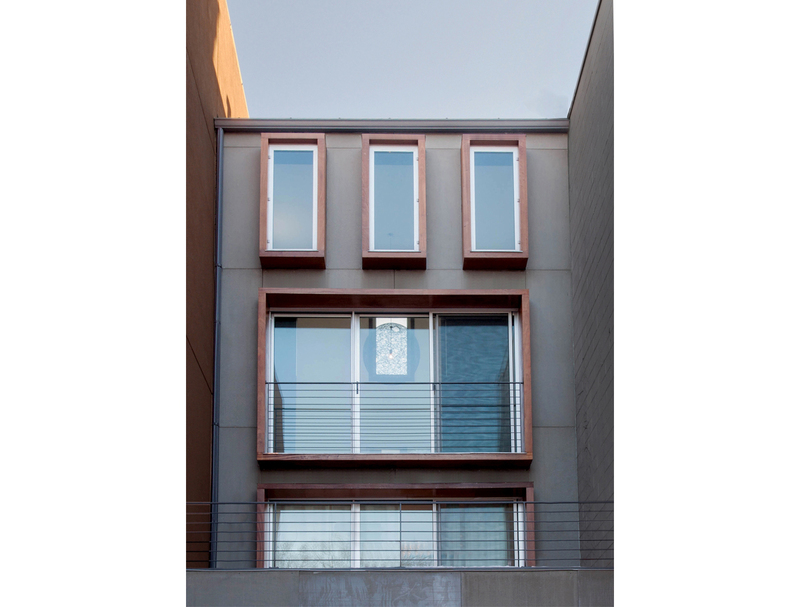 Oversized sliding windows on the front facade open to Juliet balconies set within projected sun shading made from reclaimed wood. 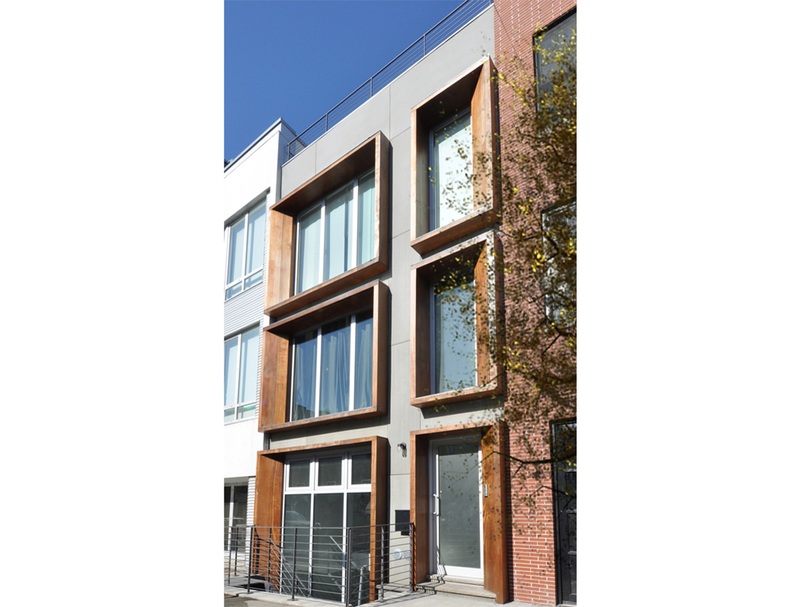 The motif is repeated at the rear facade, with balconies and a 2nd floor roof deck wrapped in wood plank. 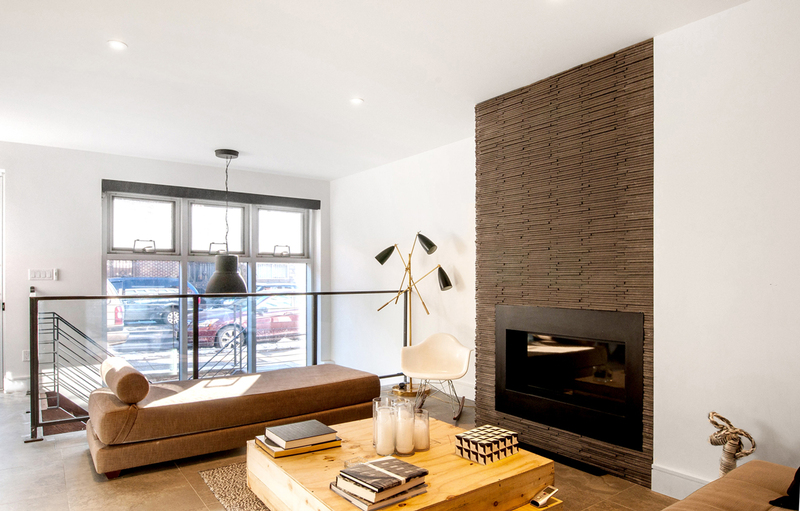 The house includes multiple additional energy efficient features including: a new insulated cellar slab with hydronic radiant floor heating below cleft slate tile; sprayed foam insulation throughout; a Daikin split AC system. 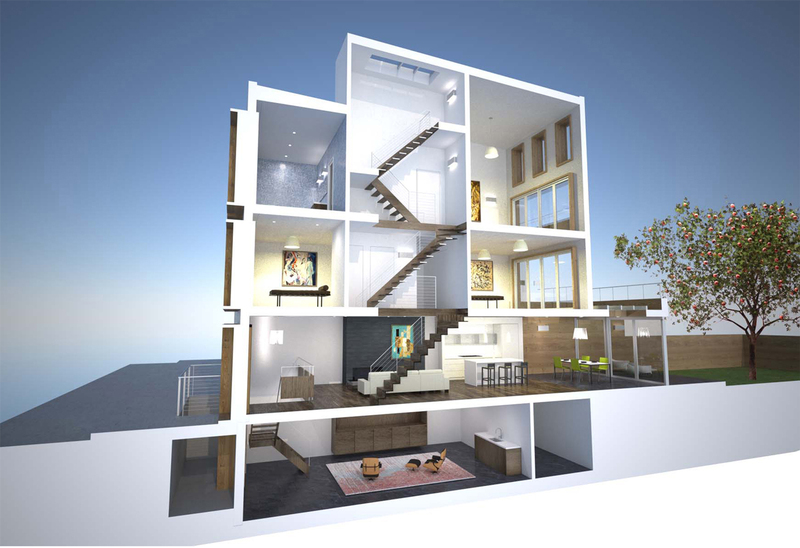 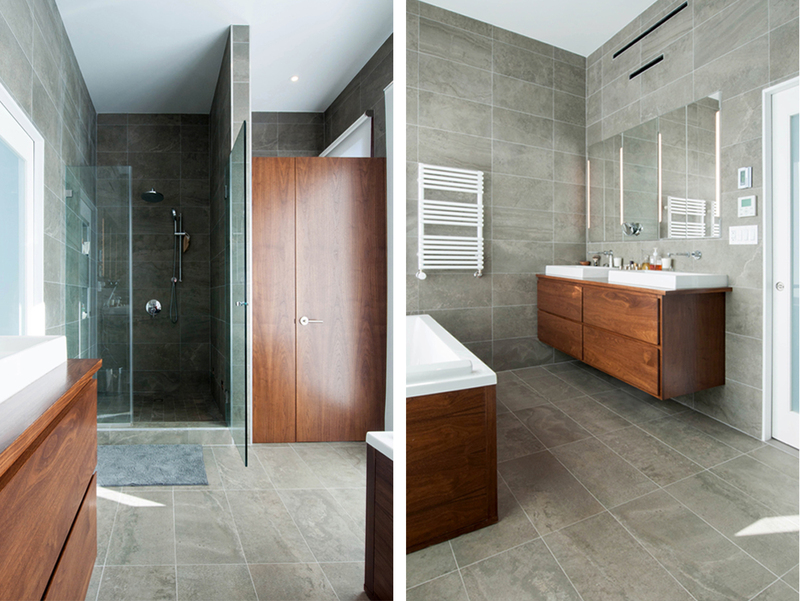 The top floor is designed as a full floor master suite with a five fixture south facing bathroom at the front. 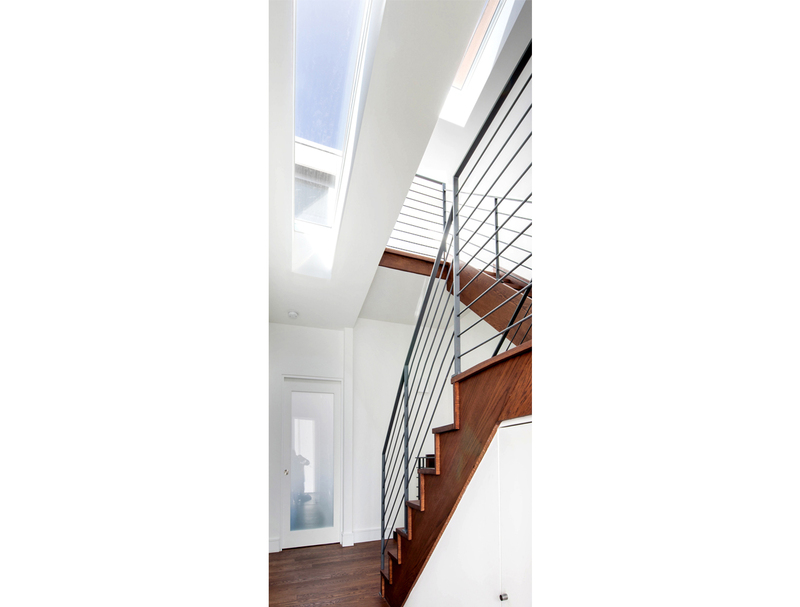 The finished cellar connects to the ground floor through a double height space at the entry.